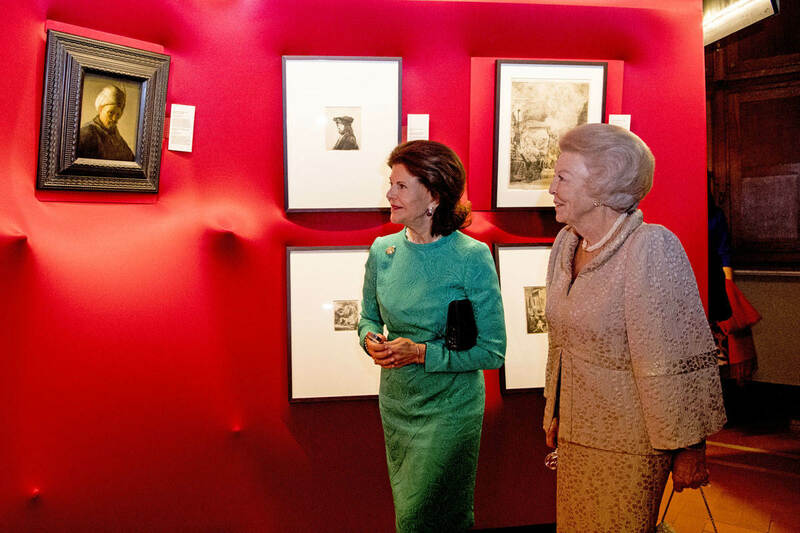 Her Royal Highness Princess Beatrix of the Netherlands will attend the opening of the art exhibition Rembrandt at the Vatican: Images from Heaven and Earth on the evening of Wednesday 23 November. Her Majesty Queen Silvia of Sweden will give a speech opening the exhibition. Vatican City, 23 November 2016: Princess Beatrix and Queen Silvia of Sweden view the painting 'Bust of an Old Man with Turban'. The exhibition includes 55 etchings from the Zorn Museum in Sweden, as well as the painting Bust of an Old Man with Turban, on loan from the Kremer Collection in the Netherlands. This will be the first time that works by Rembrandt are on display in the Vatican Museums. Rembrandt at the Vatican marks the 500th anniversary of the Reformation and the ongoing improving relations between Catholics and Protestants. Rembrandt was Protestant, as was his father, although his mother was of Catholic background. His work reflects the influence of both religious traditions and gives his distinctive interpretation of biblical tales. The exhibition will be open to the public from 24 November 2016 to 27 February 2017.